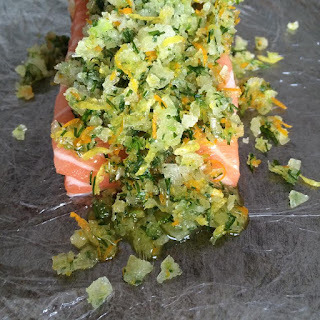 Gravlax is a Scandinavian-inspired pop-up restaurant, taking place at The King's Head in Kingsland Road, E2, from Wednesday 18th - Saturday 21st May 2016. As the name suggests, the focus of the meal is gravlax - cured salmon - with the choice of 3 from a list of cures - Gin, Vodka, Tequila, Whisky and Rum - plus two other courses,. and an amuse bouche. The chef is Charlie Wethered, who appeared on Masterchef in 2012, and it's also helping support Raise Your Hands, a community that supports small charities concerned with children. It' costs just £35 a head, and it sounds like a great pop-up! "During the middle ages, fishermen would cure their salmon by burying it above the high-tide line to create Gravlax – hence the name; gräva meaning ‘to dig, bury’ and lax meaning ‘salmon’. In a modern and innovative approach to the traditional methodology, the salmon at Gravlax London is ‘buried’ in 5 different marinades that are created using carefully selected premium spirits. This approach was created by Charlie Wethered, who appeared on MasterChef in 2012 and gained experience at Heston Blumenthal’s 2 Michelin star restaurant ‘Dinner’, before setting up his own company Quail London. As part of his research, Charlie made the famous railway trip from Oslo to Bergen crossing the Hardangervidda mountain plateau. At the Bergen fish market, he met a veteran local maker of gravlax and was instantly intrigued by their approach of ‘burying’ the salmon in viscous and sometimes solid marinades. It was there that they discussed the idea of adding spirits to the curing process, an approach that they developed together to create a unique, refreshing and modern take on the traditional popular dish – and so Gravlax London was born. With bold colours and fresh flavours, Gravlax London brings something unique and healthy to compliment the Spring time in London."